Boyzee arrived at Tree of Life with a chain around his neck which we had to cut off. 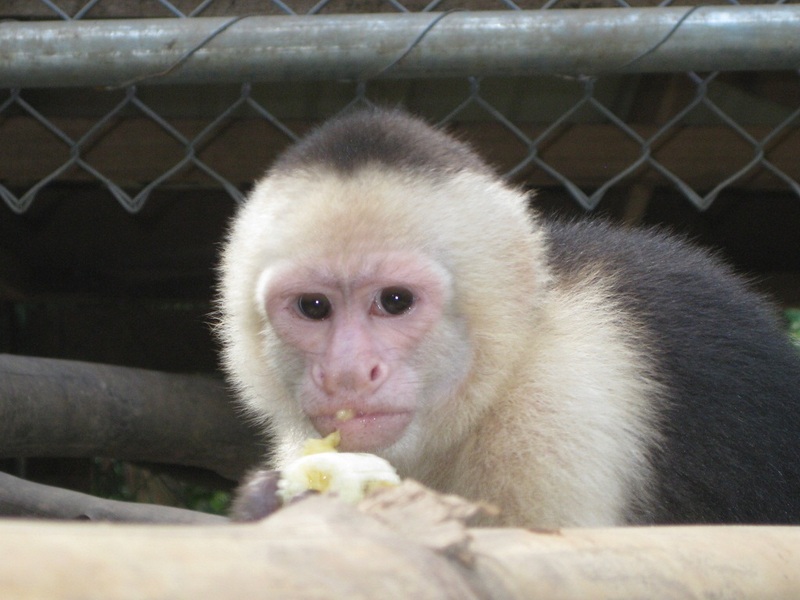 Unfortunately capuchin monkeys are kept widely as pets but as soon as they are adult they become frustrated with the life they have! And that can result in aggressive behavior. Boyzee was a pet! 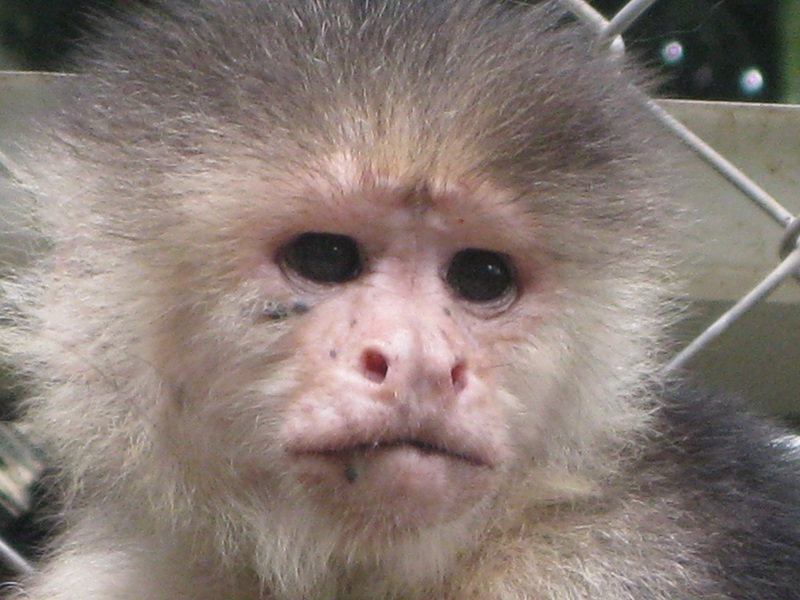 Jackies mother was probably killed so she could be captured and be sold as a pet. 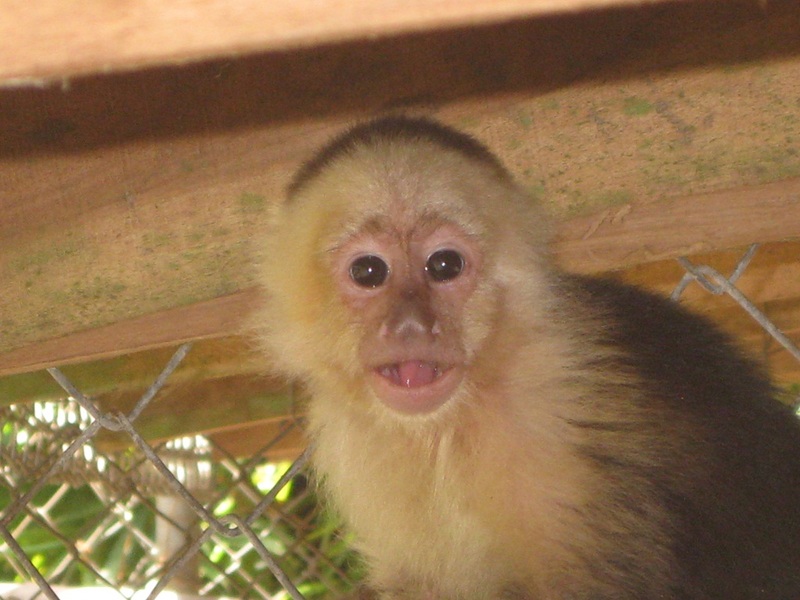 When they are young they are very cute but when they grow older, capuchin monkeys become too strong to be handled and they are either shot dead or left isolated in small cages or chained by the neck. Jacky came to us with a chain on her neck. She pulled out her own hair because of stress. Beto was a pet. He escaped. But being brought up by people he didn't go into the wild but went to the next house where they kept Beto for a while. Then he escaped again and went to the next house! 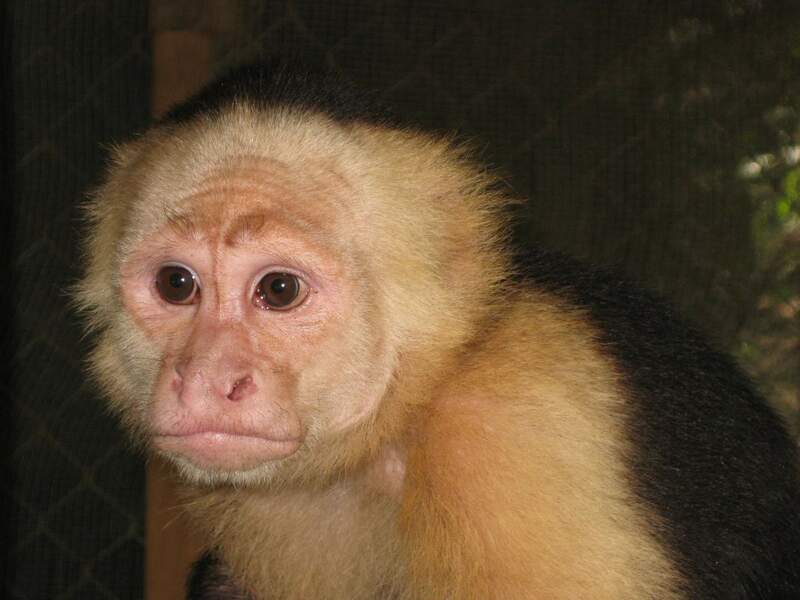 Capuchin monkeys are no pets! 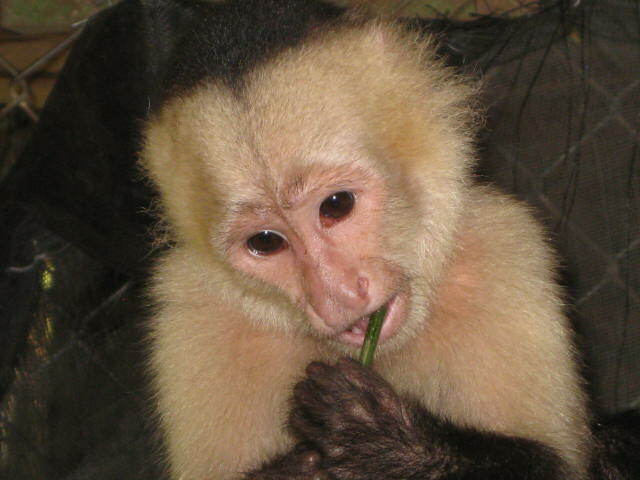 Capuchin monkeys brought up by people do miss important skills which are necessary to survive in the wild. 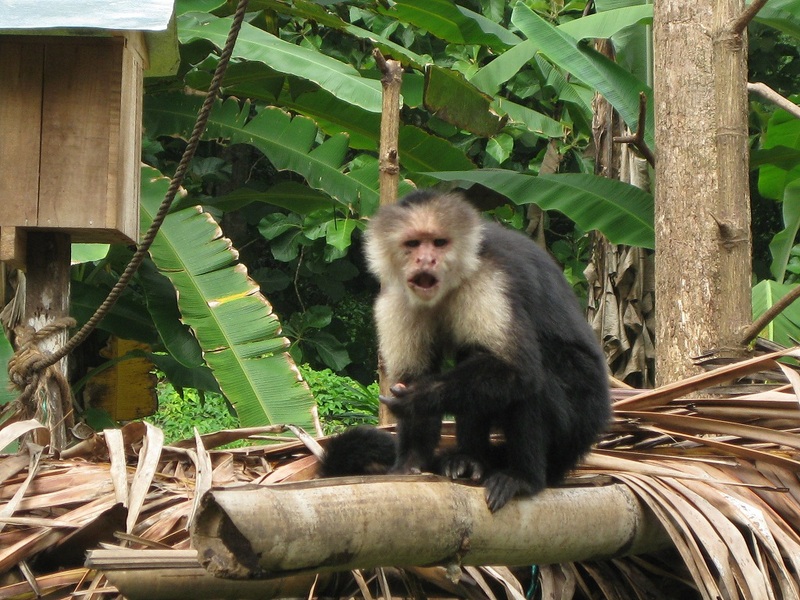 Lola was living with a chain around her waste in a tree near one of the banana farms. The chain was only 1 meter long. The chain was cutting her waste. Now Lola is living with Suzy and Jojo on the island. 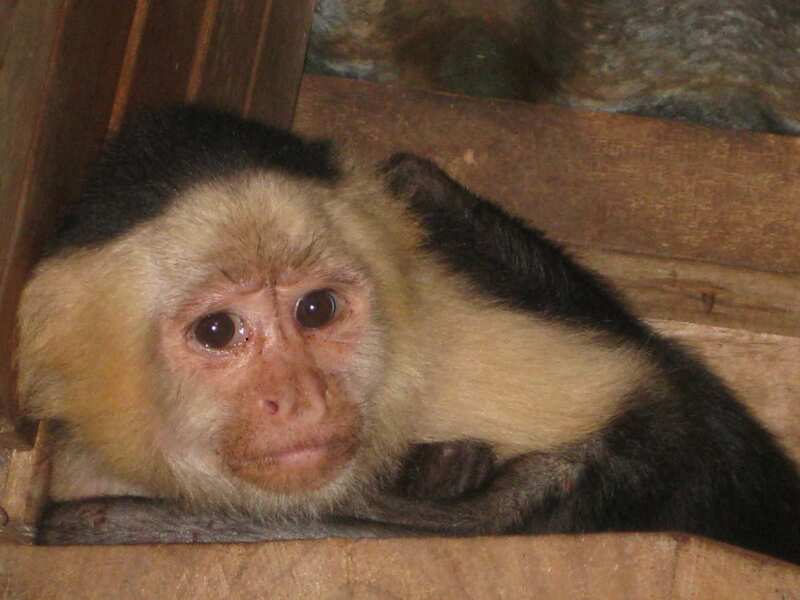 Intelligent and adaptable, many capuchins have fallen victim to the pet trade. Suzy was living in San Jose in a Bar/Restaurant. Of course not a place for a monkey. Now Suzy is living in a more natural environment together with Lola and Jojo. She gets along fine with Jojo and Lola. Sometimes you can see Suzy dancing on the island. 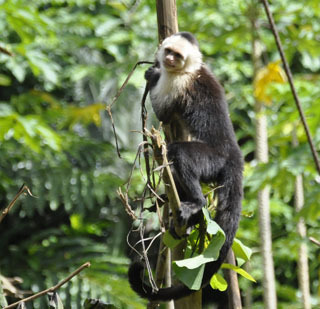 In Costa Rica it is considered as a specie with a reduced population and is protected by the wildlife conservation law. 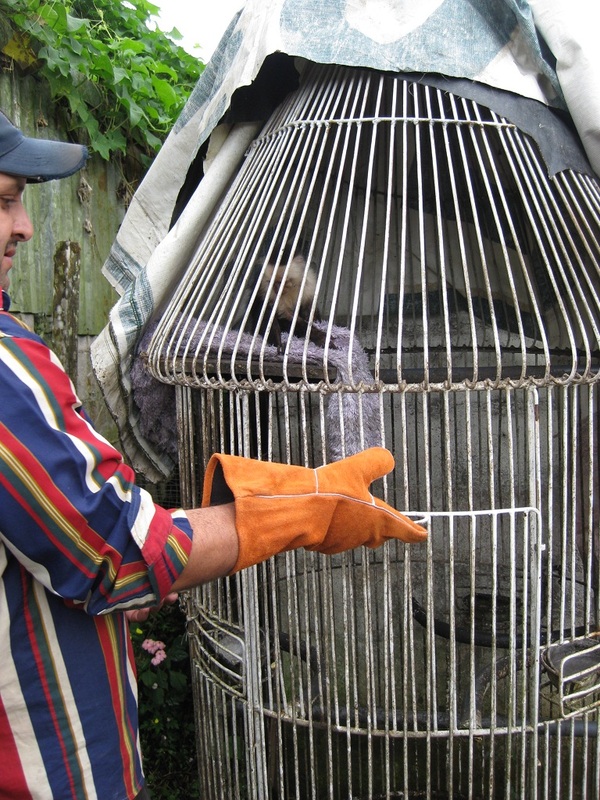 Jojo was living in a small cage in a cold part of Costa Rica. She was living in a very small place with a poor diet and that is why she never grew so big. She did not have much hair on tail and back and she was showing stereotype behavior. In her first month here at Tree of Life Wildlife Center she gained some good weight, her hair did start to grow again and no more stereotype behavior. At Tree of Life she met Suzy and Lola and feels happy to be with members of her own species. 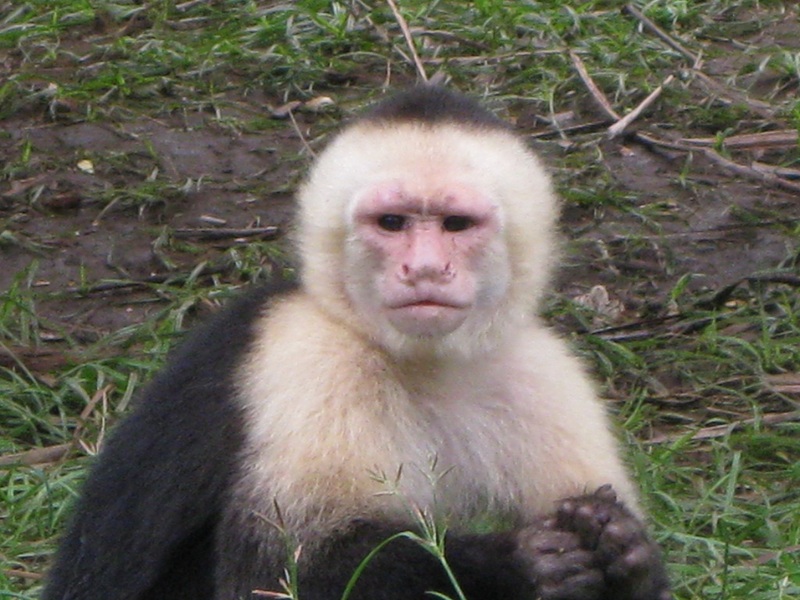 These monkeys form troops of 5 to 36 individuals. This is Jojo's old cage. Lucy was also living in a bar/restaurant in San Jose. And because of her history Lucy has some difficult behavior. 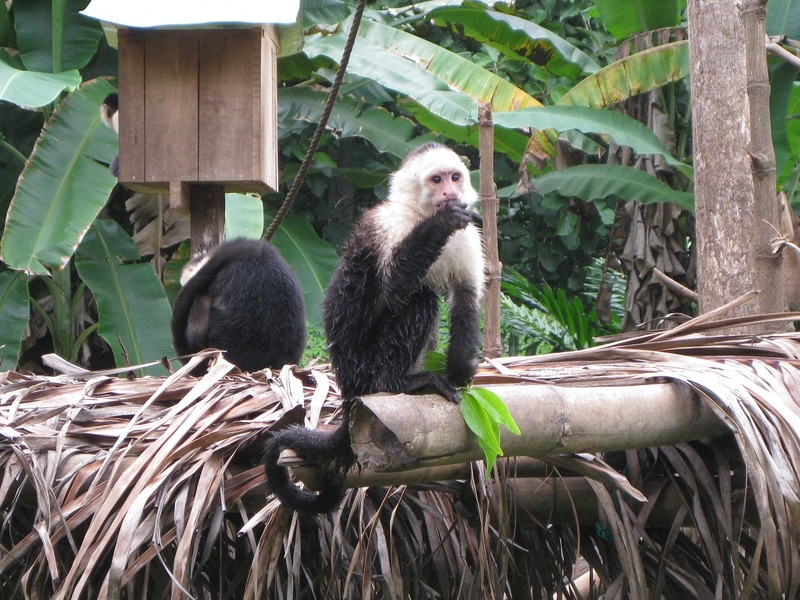 She was living on the island with the other white face monkeys but gets in trouble. That is why she is currently apart from the others. 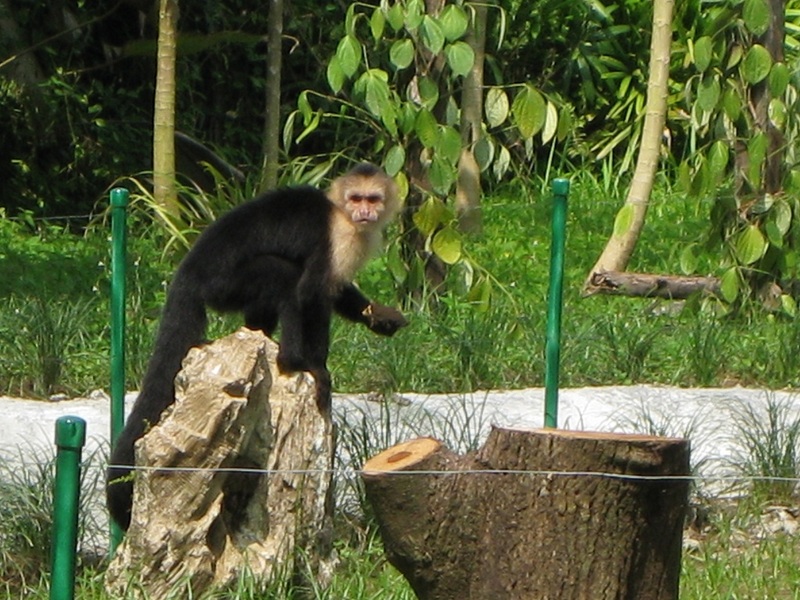 We hope she can be introduced again to the island and the other monkeys. Lucy is very smart and emotional.